Meanwhile, on the backwater planet of Tatooine, rumors drifted through the Jundland Wastes into the starports of Mos Espa and Mos Eisley. A mad prophet had risen in the desert. Traders spoke of a gathering of nomads in the southeast and a terrible leader who led his swiftly increasing hordes to victory. The Sand People, ever a menace to other inhabitants of the planet, were apparently not connected with this movement; for they were massing clans to fight that of the desert sorcerer, whom men called Melukien Tar’Shakaar. The tide of Tar’Shakaar's forces swept north, and the moisture farmers died in their squat-walled homesteads. Panicked Jawas informed the local Imperial garrison that Mos Eisley was the ultimate goal of Tar’Shakaar and his chanting votaries. Raids from the desert were not uncommon, but this latest uprising seemed to promise more than a raid. Rumor said Tar’Shakaar had welded thirty nomadic tribes into large band of followers who dubbed themselves "the Chimaera Order." This latter lent the affair an aspect of real war. On Year 3 Day 200, Emperor Charon instructed Grand Admiral Black Lodge to crush the attempted uprising by Tar’Shakaar's Chimaera Order. 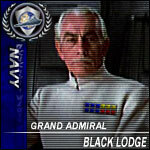 Aboard his flagship Nemesis, Black Lodge led the 1st Assault Force to invade and occupy Tatooine. To ensure Black Lodge's victory, Charon requested the forces of the Hutt Council assist in the operation. Thus the revolt by Tar’Shakaar — the so-called "mad prophet of the desert" — was crushed by the combined armies of the Empire and the Hutt Council. 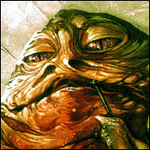 Due to the loyalty the Hutts had shown the Empire by helping defeat the Chimaera Order's seditious activities, Charon decreed the Tatoo system would be directly administered by the Hutt Council in his name. Acknowledging Charon's magnanimous gift, Angobba Desilijic Lucar of the Hutt Council appointed Regnar Lodbrog a as governor of their new acquisition, as well as laws regarding development and settlement on and around the planet. He reiterated that Hutt Council territories were protectorates of the Galactic Empire and that Imperial troops would remain garrisoned on the surface to provide for the defense and the maintenance of law and order of this colony. Defeated and his forces in retreat, Tar’Shakaar sought refuge under the black wings of the Dark Empire. On Year 3 Day 204, Bertyarg Lucat of Intellifish revealed he had become an ally of Tar’Shakaar's Chimaera Order. Under Lucat's authority, Intellfish denounced the occupation of Tatooine by the 1st Imperial Assault fleet led by the Grand Admiral Black Lodge, and decried the Imperial cession of the planet to the Hutts. 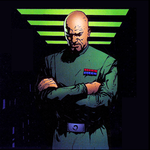 On Year 3 Day 212, in order to crush the insurrection, Grand Admiral Black Lodge issued arrest warrants for all insurgents in the Chimaera Order including Bertyag Lucat and Melukian Tar’Shakaar for high treason against the Empire. With the Chimaera Order crushed by the Hutts' Imperial allies and order restored, the Hutt Council's new governor Regnar Lodbrog chose to launch a final operation against the Chimaera Order. Ships assembled by the Hutt Council converged on Tatooine to further prevent terrorist attacks and insurrection on the planet's surface. In conjunction with Imperial Intelligence, the Hutt Council's security forces searched and inspected buildings for terrorists and their accomplices. 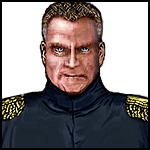 On Year 3 Day 213, while in the Jomark system, Chancellor Green Devil of Loronar Security was killed. 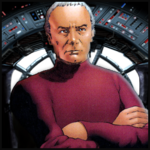 The Chancellor was en-route to a large delegation meeting with the Falleen Federation to meet with the Falleen High Council on various issues concerning planetary affairs. The Chancellor and many colleagues departed from LorSec Headquarters on Prathil and were later intercepted by a small force of hostiles. The band of aggressors, one capital ship accompanied by fighters, ambushed the Chancellor's vessel before they had any chance of defense. Shots were aimed to kill, no capturing or disabling attempts were made. Suspicion for the assassination was linked to the leader of Astralwerks Engineering, Eldrik Kuraine, as well as the Dark Empire. A funeral service was held in Chancellor Green Devil's honor. 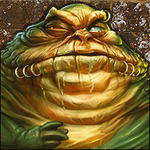 The Hutts suspected the death of Green Devil was linked to the Chaemera Order. While the destruction of the Chimaera Order captivated the galaxy's interest, yet another unexpected event was about to unfold. In Year 3, Blue Sabre Transportation — led by a Corellian pilot named Sterik Hasger — was one of the key organizations that comprised Supreme Chancellor Dargon Yotam's United Trade Federation. At the time, Blue Sabre Transportation was losing a territorial conflict with Rik Avner's Twin Star Mining corporation and was in dire financial straits. Hasger approached Bonias' Dark Empire for aid. In exchange for a controlling interest in Hasger's company, the Dark Empire assisted Hasger both financially and militarily. As a result, Hasger's Blue Sabre Transportation resigned from the United Trade Federation and became a nationalized subsidiary of the Dark Empire. Bonias himself donated a YV-666 to the Blue Sabre Transportation fleet and a tidy sum of six million credits. Buoyed by this support, Blue Sabre Transportation was able to successfully defeat the Twin Star Mining corporation. During these dark times, Hasger was involved in a torrid affair with Catrinna Eisel, an employee of Blue Sabre Transportation. Hasger claimed their relationship was platonic and asserted that, since the death of Catrinna's parents ten years ago, he had merely acted as her "guardian." Unfortunately, in a cantina quarrel, Catrinna had insulted Princess Gabriella Storm, the former head of Black Sun and now a major dignitary in Bonias' Dark Empire. Enraged, Storm spread tales that Catrinna was engaging in lascivious behavior. When such gossip only increased Catrinna's popularity, Storm demanded Hasger execute Catrinna. 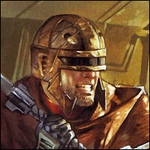 Although Hasger had not hesitated when instructed by the Dark Empire to trap and arrest other employees in Blue Sabre Transportation, he refused to kill his lover. Realizing that Hasger was untrustworthy, the Dark Empire ordered the arrest of Hasger himself for violating the contract he had signed with the Sith government. Hunted by Sith assassins, Sterik and Catrinna secretly contacted Angobba Desilijic Lucar of the Hutt Council and were granted political asylum. The romantic duo attempted to flee to Hutt Space but, in a series of unfortunate events, became separated. Now alone and a wanted man, Hasger fled to the remote ice planet of Anteevy where, while in orbit, his ship was ambushed by his Sith pursuers. He crash-landed and was presumed dead. Meanwhile, rumors swirled that the Dark Empire had manipulated Hasger until he went insane or killed himself. As one commentator suggested, "Whom the gods would destroy, they first make mad." Following Hasger's disappearance, the Dark Empire consolidated its stranglehold on Blue Sabre Transportation. They appointed a Sith henchman named Blackthorne as its new president. Arrogant and dictatorial, Blackthorne terrorized the few surviving employees of the transportation company. As a result, Nemesi Nemsien, an experienced Bothan pilot and the Vice President of Blue Sabre Transportation, chose to defect to Charon's Galactic Empire. Other employees likewise defected and fled to the Core Worlds in stolen ships. However, unbeknownst to the galaxy, Sterik Hasger was still alive. He had survived his crash-landing on the ice planet of Anteevy and awoke with blood gushing from his left eye. He rationed his supplies and derived warmth from a small portable heater in his storage cabin. Using a repaired holo-transmitter, Hasger beseeched Angobba of the Hutt Council to rescue him and to convince Supreme Chancellor Dargon Yotam to protect him from Bonias. Although Yotam had been displeased with Blue Sabre Transportation leaving his trade association, he consented to protect Hasger as a favor to Angobba. In an scornful missive to the Dark Empire, Yotam boldly revealed Hasger was alive and under his personal protection. In response, Bonias threatened to take further action against the Hutts and the United Trade Federation unless Sterik Hasger was surrendered to them. After consulting with the Hutt Council, Yotam and Angobba the Hutt decided they would protect Hasger and helped him escape to the Core Worlds controlled by Charon's Galactic Empire. In the Empire, Hasger was reunited with his former vice president, Nemsien. Hasger and Nemsien chose to join the Galactic Empire along with many of their former employees. The tenure of Hasger and Nemesi in the Empire was short-lived. With the approval of Emperor Charon, the duo formed a guerrilla movement dubbed "the Baldoran Alliance" with the declared objective of destroying Bonias' Dark Empire. 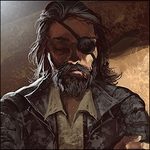 The guerrillas of the Baldoran Alliance included Sterik Hasger, Nemesi Nemsien, Zakar Huntel, Dakkon Blackblade, Draven Emberheart, and Thaka Dhal. 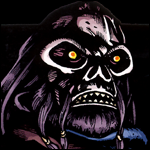 In the black markets of the galaxy, ugly canards circulated that Emperor Charon was the secret patron of the Baldoran Alliance and therefore approved of their terrorist operations. The veracity of such accusations remains unknown. Ultimately, however, the Baldoran Alliance was a failure. Hasger and Nemsien realized there was a need for a new transportation company in the galaxy, and started gathering the resources to make their dream into a reality. Out of the ashes of Blue Sabre Transportation was thus reborn Corellian Transport Services. Ahead of its time, Corellian Transport Services promised to be the best transportation company in the galaxy and later became a subsidiary of the New Republic.